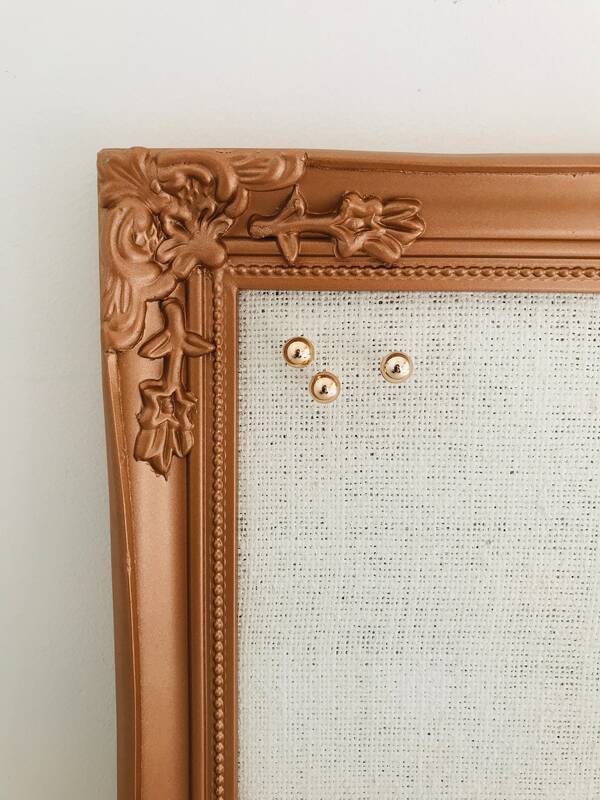 Metallic Rose Gold / Copper ornate baroque/rococo picture framed CORKBOARD / PINBOARD. 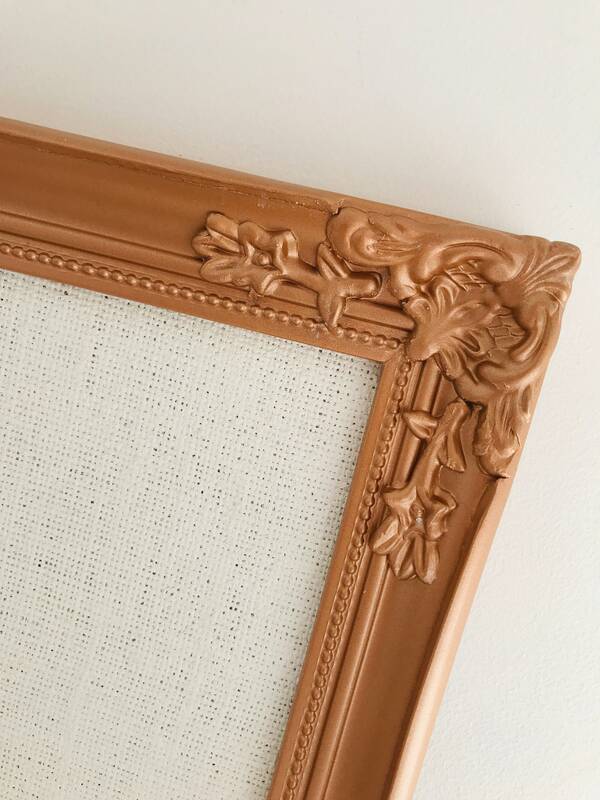 + Real WOOD frame, plaster coated with mouldings to give a vintage feel. 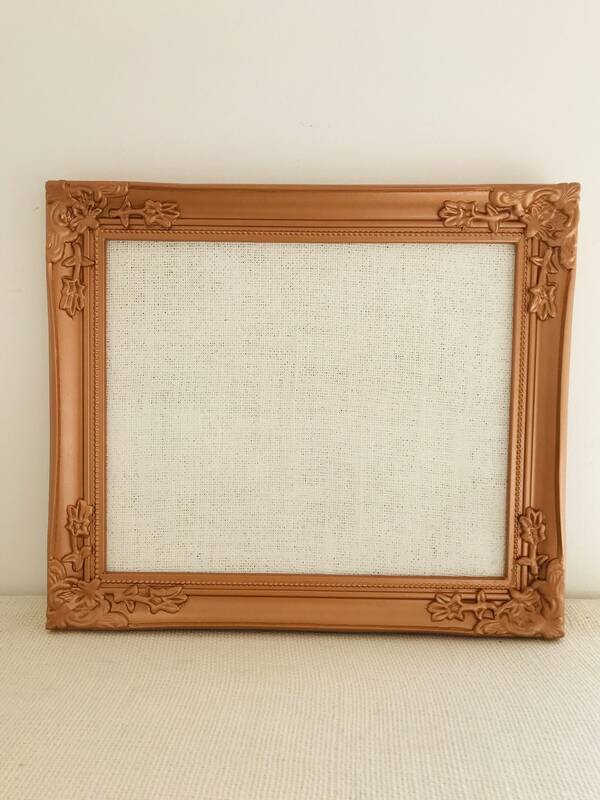 + Painted in metallic copper. 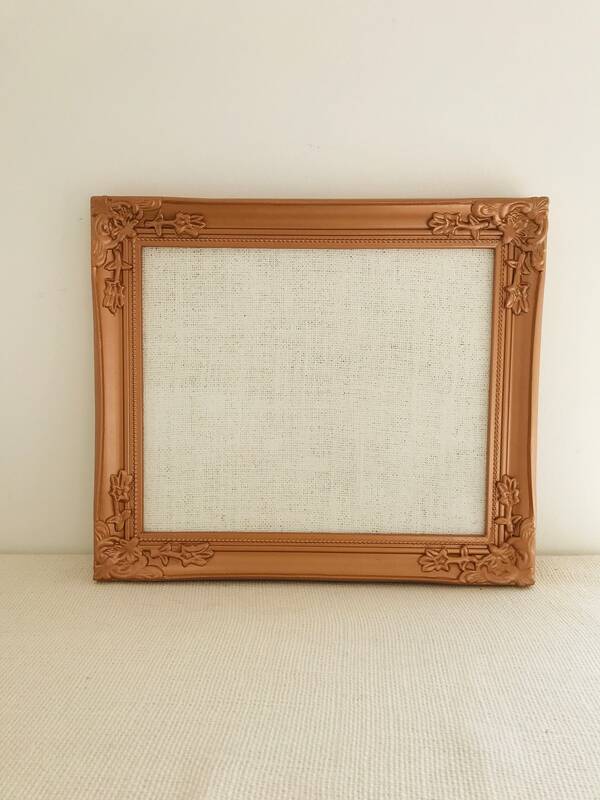 + White Burlap fabric covered thick cork. Perfect for a CRAFT room wall, KITCHEN decor, OFFICE decor, restaurant, cafe, bistro, or retail SHOP sign or handy notice board. Why not use as a wedding sign on your special day! Ideal for pinning notes or business cards, I use mine as a mini VISION BOARD to pin sticky notes, my most important goals, and milestones, but you can use it for all sorts of reminders. 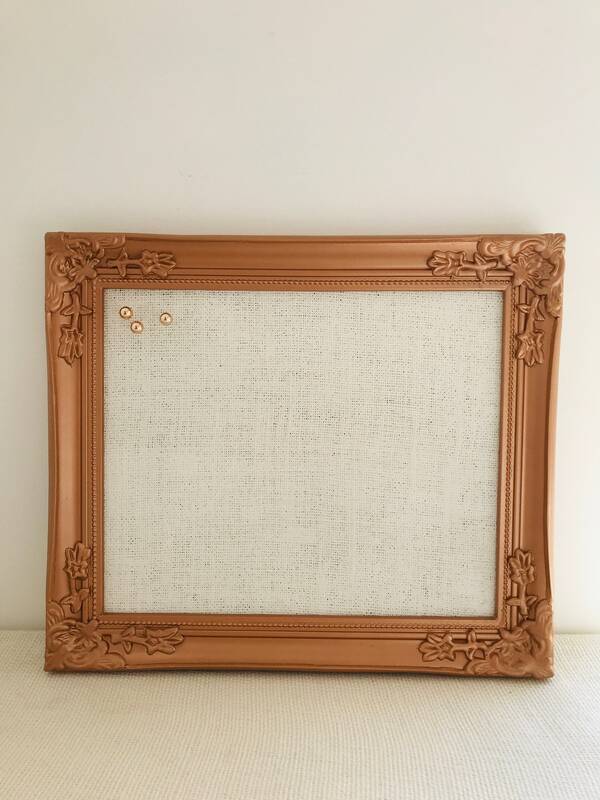 Ornate Pinboards make a great moving present, an ideal gift for the shabby chic home or office. The recipient is sure to adore them. I know I do! 1. 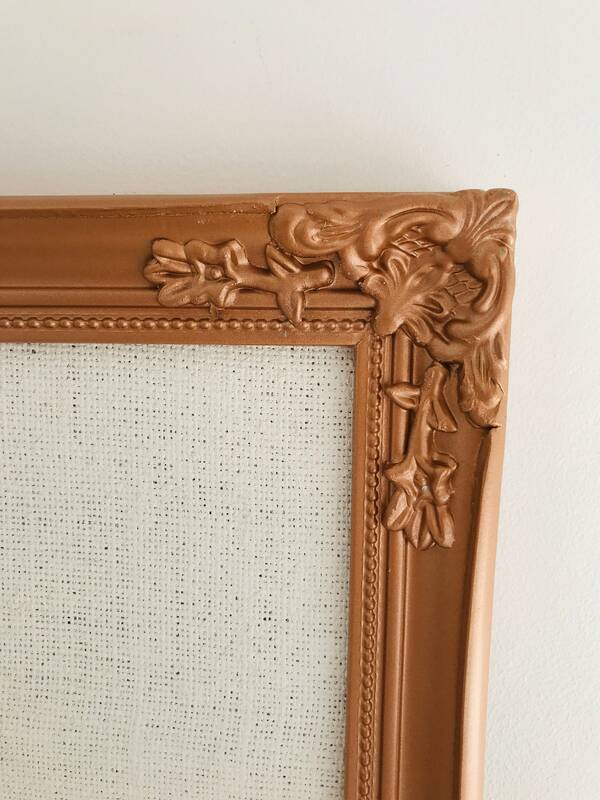 Do you want to hang Landscape or Portrait? Make your choice. 4. 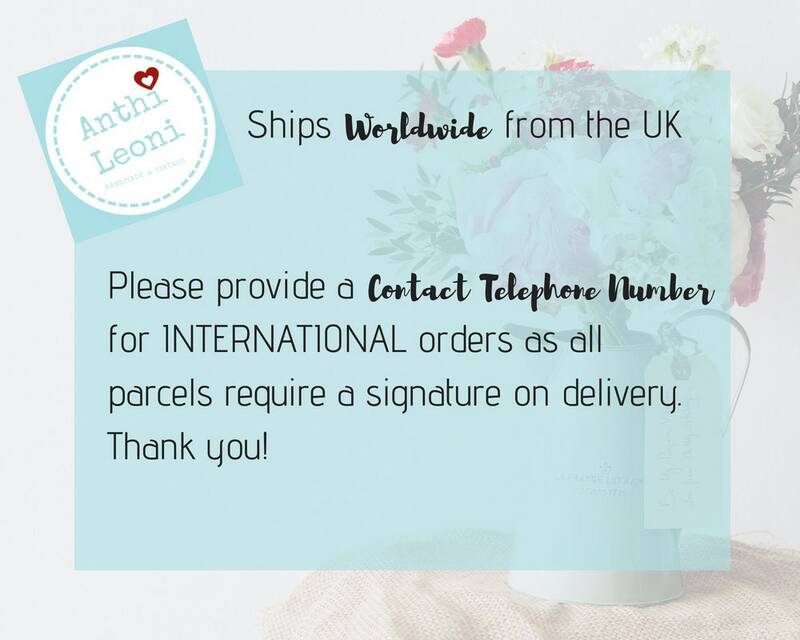 It's that simple, complete your purchase and await your tracked delivery! Turnaround time is 1-2 days on this product. If you require quicker please convo me or request expedited shipping.